The M Network CoreAO Antioxidant Stik is loaded with Antioxidants and packed with super nutrients so you can start your day right. CoreAO stick helps to boost your immunity when you are feeling sick, while providing you with powerful disease-fighting super nutrients such as mangosteen, acai, bilberry, arginine, catechins and grape seed extract. 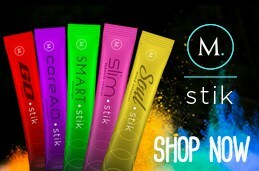 Each box of M Network CoreAO Antioxidant Stik contains 30 sticks and is meant to be blended with 16-20 ounces of water.